Posted 7:21 pm by Chris & filed under Organic Gardening. Here is the “notes” of some of what you learn in this book. Learn what microgreens are, and why they’re a hot culinary commodity. Receive instructions for building the “Microbox,” which can put you in business in less than a day! I took this from his website: http://www.profitableplantsdigest.com/. I highly recommend this book. As a traditional “Farmer and Gardener”, I had not thought much about microgreens. Sprouts had always come to mind, but never Microgreens. I am excited about the opportunities in growing, selling and of course eating these tasty morsels. You know how nice it is to walk through the garden, smelling the fresh scent of the young plants! I use to take a nibble here or there of the young plants leaves. Just to make sure that they were of the highest quality you know. Have to keep the quality control in place. But Craig has gone way beyond what most authors will do. He gives you resources, examples of businesses who are successful with their microgreens that they sell. I was very impressed with how simple a system can be. With the ability to start growing immediately and creating an income within 7 to 10 days! 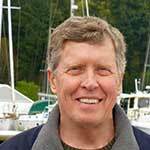 Craig always shares more than most people would, and has shown that he cares about health and wealth of his customers. I highly recommend that you read Growing Microgreens for Profit and implement all that you learn as soon as you can. Sustainability is not just about the big systems, it is about a way of life that keeps you focused on your entire environment. The food you eat, water, the air, and your neighbors. The 4 legged, two legged and even the winged neighbors who also like the bountiful harvest that you produce. I really do like the program that Craig shares. In fact, we are implementing an entire portion of our new greenhouse to just Microgreens! Thank you Craig! 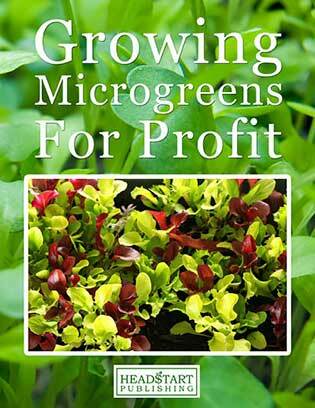 Click Here to get your copy of “Grow Microgreens for Profit”. Get 2 of them I am going to get one for a Fathers day Gift!